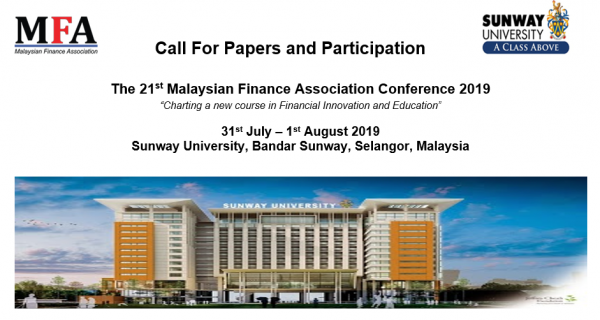 Papers in all areas of finance are welcome, including corporate finance, asset pricing, market microstructure, behavioural finance, Islamic finance, financial institutions, international finance, emerging capital markets, and finance education (note: any non-finance topics but related to financial industry are also welcome). All these journals will decide on acceptance using their own review process, and are committed to select and publish 2 or more papers in their respective journals. Please submit (1) a blind copy of the manuscript without author information, and (2) a separate file for the cover page containing the paper title, abstract, and authors’ contact information. Please send PDF or Ms-word version only. Information Updated on 17 April 2019.